DUNKIRK, NY – Today Dunkirk Specialty Steel LLC, a leading U.S. manufacturer of semi-finished and finished specialty steel products, unveiled several state-of-the-art upgrades and modernization efforts at its Dunkirk (NY) facility. These renovations are the result of a $10 million capital investment from parent company Universal Stainless and Alloy Products, Inc., and collaborative efforts by the County of Chautauqua Industrial Development Agency (CCIDA), City of Dunkirk Department of Development, and NYS Empire State Development. The 800,000 square-foot facility has installed a new $10 million bar turn and burnish line, as well as a new General Electric phased array nondestructive testing system. The addition of the specialty equipment from Germany and Japan makes the Dunkirk-based unit finishing cell the most advanced in the United States. The CCIDA business development team partnered with City of Dunkirk Mayor Wilfred Rosas, City of Dunkirk Department of Development, and Empire State Development Corporation for a proactive negotiation with Universal Stainless, as the company analyzed facility investment opportunities throughout its corporate footprint. The project was subsequently secured for Dunkirk through the successful procurement of NYS Excelsior Jobs Program fully refundable tax credits and an Empire State Economic Development Fund grant, along with other incentives. The equipment upgrades and installations occurred over the last several months, with the new units being employed for production in March 2019. Other significant interior updates were also made in preparation for the installation, including the addition of new high efficiency LED lighting. Equipment was delivered via 35 truck-loads, and took approximately 7,750 man hours to install 200 yards of concrete, 900 anchor bolts, 6,000 feet of conduit, 15,000 feet of tray cable for power and terminations, and 3,000 power and termination switches in the 15,000 square feet project area. 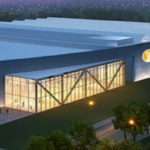 Chautauqua County and Western New York companies that provided workers for the facility update include Hohl Industrial, Lehigh Construction Group, Frey Electric Construction Co. Inc., and Danforth Plumbing. 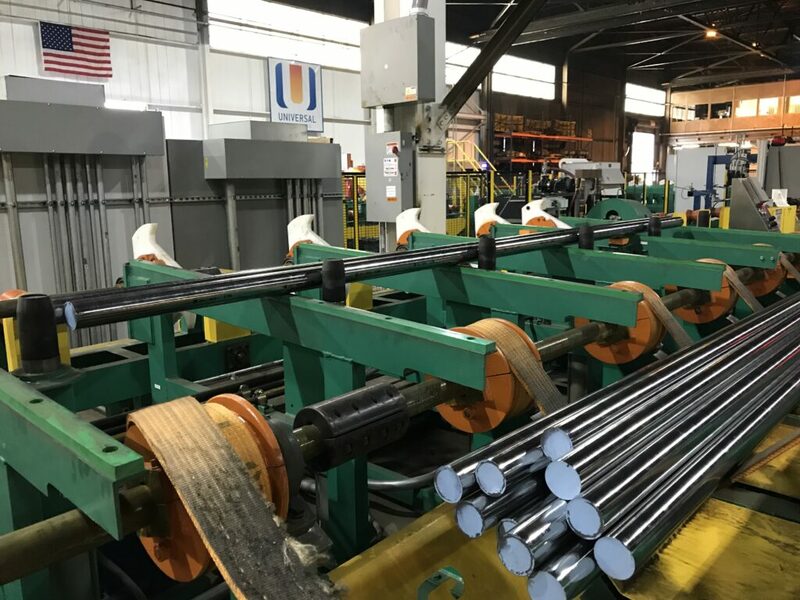 The Dunkirk facility currently employs 285, a majority of which are skilled laborers who produce finished bar, rod, and wire products in a variety of specialty steel grades. Dunkirk Specialty Steel and parent company Universal Stainless and Alloy Products Inc. manufacture products that are sold globally for use in aerospace, heavy equipment, auto, power generation, and oil and gas industries around the world. 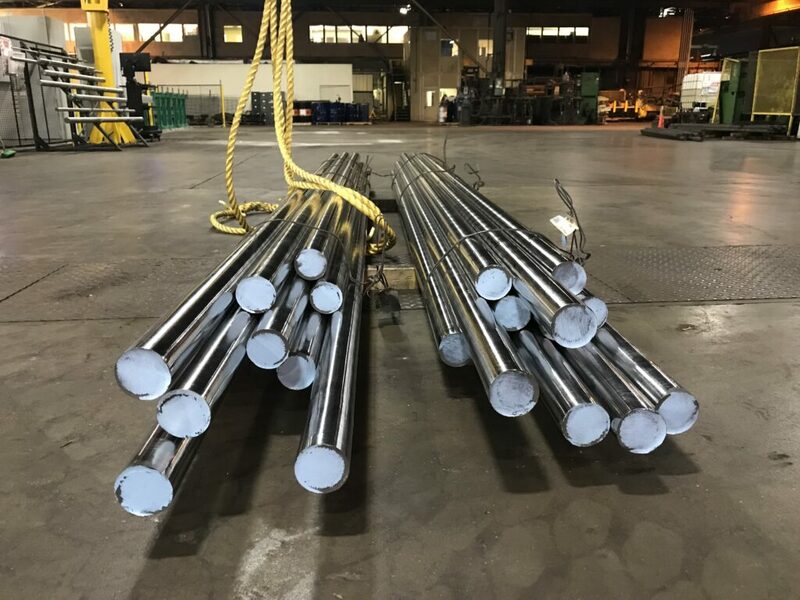 Universal Stainless & Alloy Products, Inc., established in 1994 and headquartered in Bridgeville, PA, manufactures and markets semi-finished and finished specialty steels, including stainless steel, nickel alloys, tool steel and certain other alloyed steels. The Company’s products are used in a variety of industries, including aerospace, power generation, oil and gas, and heavy equipment manufacturing. More information is available at www.univstainless.com. The CCIDA is an economic development organization authorized and empowered by the State of New York to make Chautauqua County a better place to work, live, and visit. The organization facilitates development by attracting new businesses, while promoting the retention and expansion of existing businesses. Assistance in the form of incentives – tax abatements, low interest loans, and bond financing – enhances the opportunities for job creation and retention by our businesses. For more information visit www.ccida.com.